Our office is conveniently located at the corner of Rockdale Avenue and Allen Street in New Bedford. There is parking available in the rear of the building - accessible from Allen Street. Comfort and convenience are the hallmarks of our office operations. Below is the information you need about our hours, location, appointment scheduling, insurance acceptance and billing. For our patients of record - please leave a message on our answering machine at (508) 992-4608 with your name, phone number, and a brief description of your emergency and we will get back to you as soon as possible. 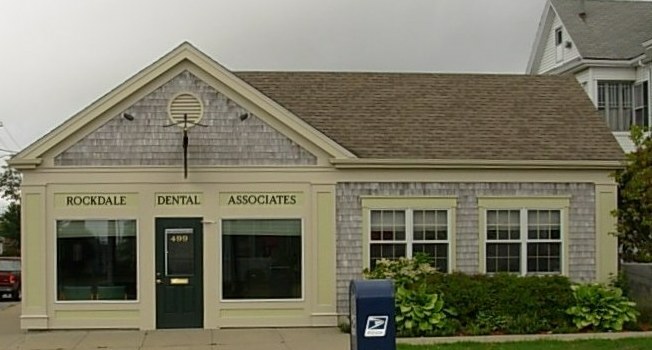 We know you have many choices when choosing a Dentist in New Bedford, MA so we have made requesting an appointment a simple process via our Web site. If, for any reason you cannot keep a scheduled appointment, or will be delayed, please call us as soon as possible. We have a system to remind you of your scheduled appointments that can call your home phone, text your cell phone, or send you an email! We are providers for Delta Dental, Blue Cross Blue Shield, and Altus. We also work with most traditional insurance plans. Please contact our office to verify acceptance of your plan. Our office does not participate in Health Management Organizations; however, we will be happy to file your insurance claims for you.